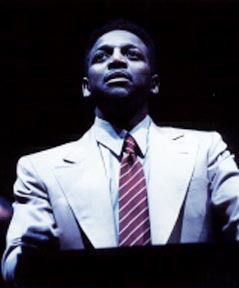 Hinton Battle’s Tony-winning John, numerous adjustments to the score, and more seasoned, informed performances by Pryce and Salonga would have ensured that an OBCR would not be redundant. (At least we have bootlegs). In 1995 a “Complete Recording” was created, correcting some–though not nearly enough–of these omissions. Though most everything accomplished by this recording could have been better served by a “complete” OBCR, there’s plenty to enjoy. The fact that it seems to be out of print serving as just another example of the ways in which Miss Saigon gets the short end of the stick. The completeness of the recording is its biggest selling point and its greatest asset. People familiar with the show only through the Original London Cast Recording may be surprised how much more show is present on these two disks. The other great asset of this recording is Ruthie Henshall’s Ellen, notably her “Now That I’ve Seen Her” (heard as “It’s Her or Me” on the OLCR, despite liner notes to the contrary). It’s also nice to hear Hinton Battle get the chance to preserve his performance (especially his impassioned “Bui Doi”). The late Kevin Gray is an excellent Engineer, and it’s nice to hear the role performed by a stronger singer. Joanna Ampil give an assured and committed performance as Kim, if it does serve to illustrate how truly exceptional and irreplacable Salonga is in the role. Hawks Test Report Card: I’ve always preferred Saigon‘s score to that of Les Miz. And hearing a commercial recording of hte complete score confirms this perference. 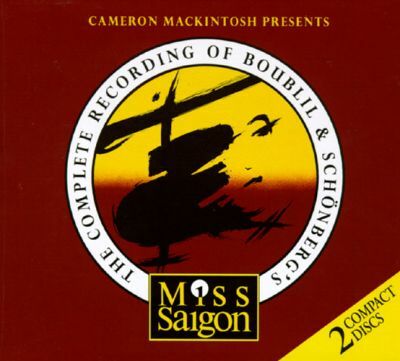 Like Les Miz, Miss Saigon is full of great ballads (“Why, God, Why”, “The Movie in My Mind”) and musical scenes (the great “Thuy’s Death/You Will Not Touch Him” seguing into the stunning choral showpiece “This is the Hour”). I was afraid the complete recording could bury the “good stuff” in a sea of ponderous recitative (as can happen in Les Miz), but the passages of recitative are much more efficient and compelling here. ← What is it about the woods? I always get the song titles confused, but I believe the original release of the OLC (at least on LP) had one song (It’s Her Or Me?) which was then replaced in the show and in subsequent pressings of the album with the other song (Now That I’ve Seen Her?). All i know is that my copy of the OLCR (which was purchased in the mid-to-late 90s) features “It’s Her or Me” and i have VIVID memories of the liner notes being different (though I don’t have access to them at the moment to confirm). Of course, my mom used to get a lot of my cast recordings from a store called “The Record Exchange”, so I could actually have a rare-er edition and not know it! (I really should get all my jewel cases and liner notes out of my dad’s garage).